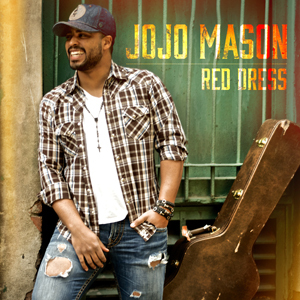 Toronto, ON (May 17, 2016) – Canadian country artist Jojo Mason is thrilled to announce the release of his brand new single “Red Dress”. The punchy track is Mason’s debut with Vancouver’s 604 Records, with whom he signed earlier this spring, joining the ranks of such 604 heavyweights as Dallas Smith, Carly Rae Jepsen and Marianas Trench. Mason will hit the road later this summer for a slew of festival dates, including stops at Dauphin Countryfest on July 1st, Cavendish Beach Music Festival on July 10th, Calgary Stampede on July 16th, Boots and Hearts Music Festival on August 6th and more. When an injury sidelined his dreams of a career in hockey, an interesting twist of fate, a jar of moonshine and a chance encounter with writer/producer Dan Swinimer altered Mason’s path entirely. Swinimer signed Mason to Manicdown Music Inc. and a short year later released his debut single “It’s All Good” to radio across Canada. Soaring into the Top 10 on the Canadian Country radio charts, “It’s All Good” was the number one most added song at country radio its first week of release – a first in Canadian radio history for an independent artist’s debut. His second single “Good Kinda Love” also released by Manicdown Music Inc. was again the No. 1 most added song at radio in its first week of release, and marked Mason’s second entry into the Top 10. This was the moment Swinimer and Manicdown Music Inc. joined forces with 604 Records. On “Red Dress”, Mason’s infectious hooks and huge voice are immediately captivating. It’s no surprise the 26 year old draws comparisons to country superstar Darius Rucker, sharing an affinity with the megastar for fresh lyrics and upbeat melodies. “Jonathan’s unique vision and outright enthusiasm for what we are doing is the perfect fit for us at this time and we are incredibly grateful to be a part of the 604 family."